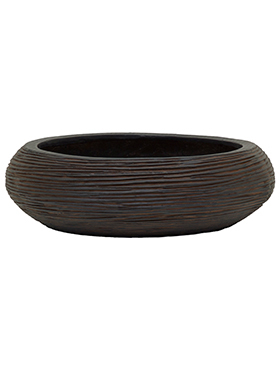 Capi Nature Bowl Round Rib I Brown. 2 sizes available, ranging from 35cm wide to 36cm wide. Style: Bowl round rib I brown.